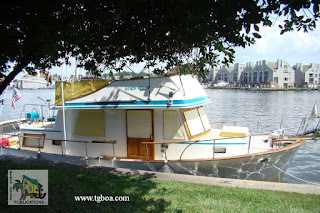 In the Chesapeake, we would have to say one of one our favorite anchorages is Back Creek in the Sassafras River on the Upper Eastern Shore of Maryland. We found very good holding, protection from all wind directions, a beautiful old mansion to explore ashore (Mt. Harmon Plantation), lovely shoreline with high trees all around and located fairly close to Georgetown, one of the hubs of Eastern Shore cruising. There are a number of little beaches (none of these beaches are named) to land a dinghy to take the dog ashore or just stretch your legs. This is just one of many great anchorages on this river. Take a run up to Georgetown to dine in the historic Kitty Knight House or the long-loved Granary. Also on the Chesapeake’s Eastern Shore is the free seawall in Cambridge,MD along the Choptank River. There is no worry with holding as you tie off to sturdy cleats, but you must fender well against the concrete wall. Located just next to the county building to starboard once inside the entrance to Cambridge Creek, the seawall and basin are well-protected from wind. From here you’ll see Snapper’s Waterfront cafe, marinas, and a small bridge that makes regular openings so one can head deeper into the harbor to more marinas. 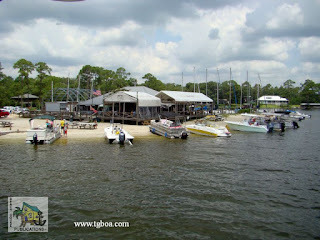 There are many restaurants (We enjoyed meals at Snapper’s and Portside Seafood. Jimmie &Sook’s Raw Bar gets very good reviews), shops and historical sites within walking distance, and a great Farmer’s Market is close by. Cambridge is a pretty little town that requires a stay of a number of days to do it justice. 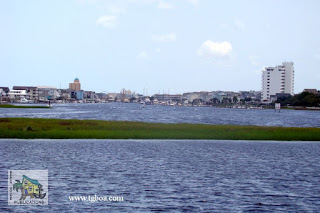 Once on the Atlantic Intracoastal Waterway (ICW), we chose Carolina Beach in North Carolina for a number of reasons. We love the beach, first and foremost, so it’s always a plus to be near it. There is easy access off of the ICW with good depths. You can anchor north of the first island with good holding, or take a mooring ball (operated by the Town of Carolina Beach. Call 910-667-0004 and someone will come collect the $20 fee) if you chose. 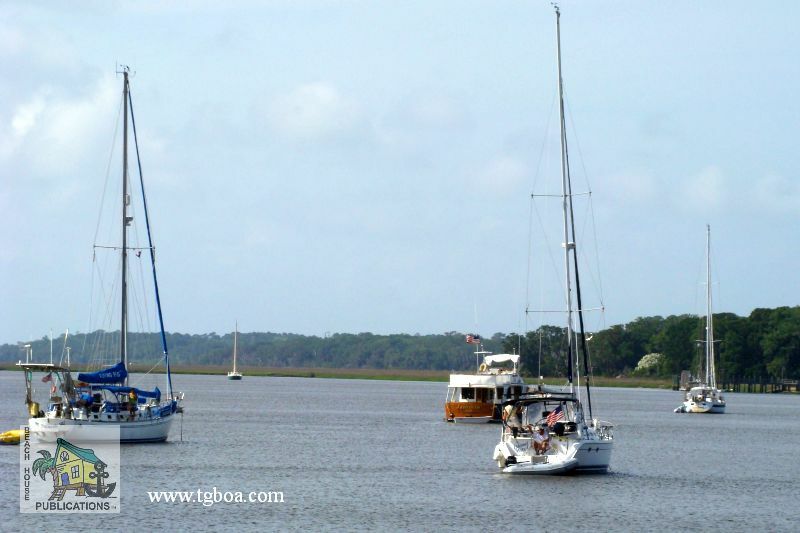 This anchorage is surrounded by attractive beach homes to the north and east, a protective low marsh island to the south and marinas to the west (Zeke's or Carolina Beach State Park) JoynerMarina at the entrance to the harbor is a waterway favorite. A dinghy dock (at the end of Sandpiper Lane toward the south end of the mooring field) beachside and the town dock at the head of the harbor give easy shore access. 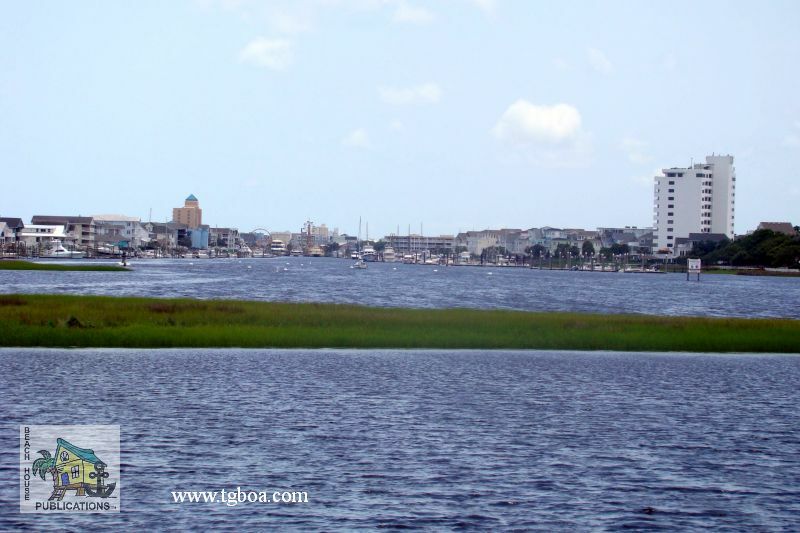 This is an attractive little beach town with quick access to the Cape Fear River so you can play the tides and currents to ensure a more comfortable ride down this wide and exposed river. Cumberland Island on the Georgia/ Florida border has long been a favorite of ours. There is good holding anywhere along the island, with easy access from the ICW. The anchorage is large and never seems to be full. (Anchor anywhere between Greyfield and Dungeness. We prefer the north end near Greyfield). You’ll be protected from the west by Drum Point Island, and from any easterly quadrant winds from the beautiful forest at the Cumberland Island National Seashore Park. You are right at the beach, just a short walk across the island through lush trees, palms and over the dunes. The beach is never crowded as the island is only accessed by boat. And there is great shelling here. The Dungeness Ruins on the south end are often visited by wild horses whose sight is always welcome. We never miss a chance to stop here. Bike or hike ashore to your heart’s content. 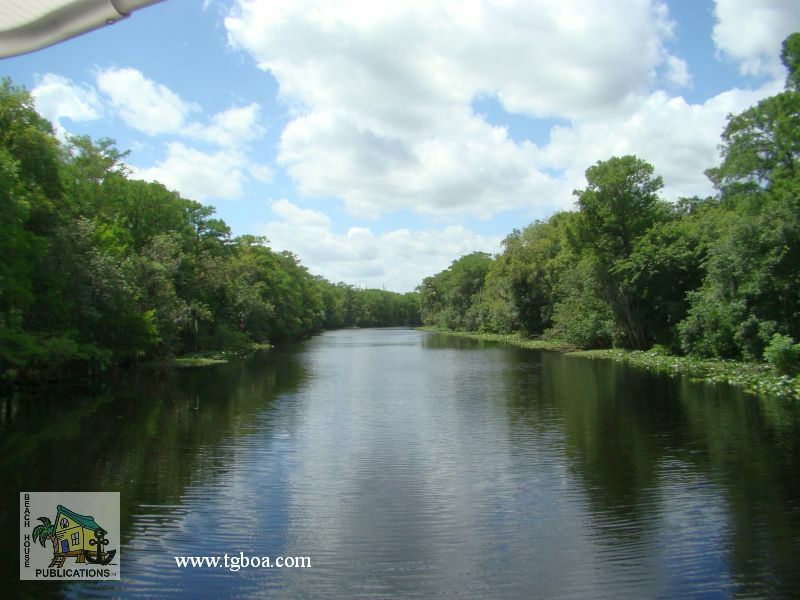 Once you see the beauty of the Lower St. John’s River, you will have to return for more. Despite the name, Hontoon Dead River is one of those spots you won’t forget. Its peace and quiet, completely surrounded by forest, is almost unsurpassed. With good depth, holding and protection, as well as quick access from the river channel to the state park (Hontoon Landing) around the corner, you will find the solitude you seek for kayaking or just resting on the boat. There is a 10-mile paddling trail around Hontoon Island. See the Volusia County website for a trail map. The remote beauty of the Emerald Rock area of Warderick Wells in Exuma Land and Sea Park is probably one of our favorite places on the planet. The water is crystal clear. The open sand banks are to your west and limestone cays of the park to all other points of the compass. If you need westerly protection, there is any number of other spots within the park boundaries to the south where you can find protection from just about any wind direction. From Emerald Rock, you can dinghy to the Land and Sea Park headquarters on Warderick Wells and visit the ranger station. Hike any number of trails and beaches, or visit Boo Boo Hill to leave your wooden carved marker and permanently cement your place in history here. We never tire of this place as it may be one of the most beautiful spots on earth. Keep in mind, this is a No-Take zone (you cannot take any fish, conch, shells from the water or any shells, etc from land), from either the land or water. This rule is strictly enforced. 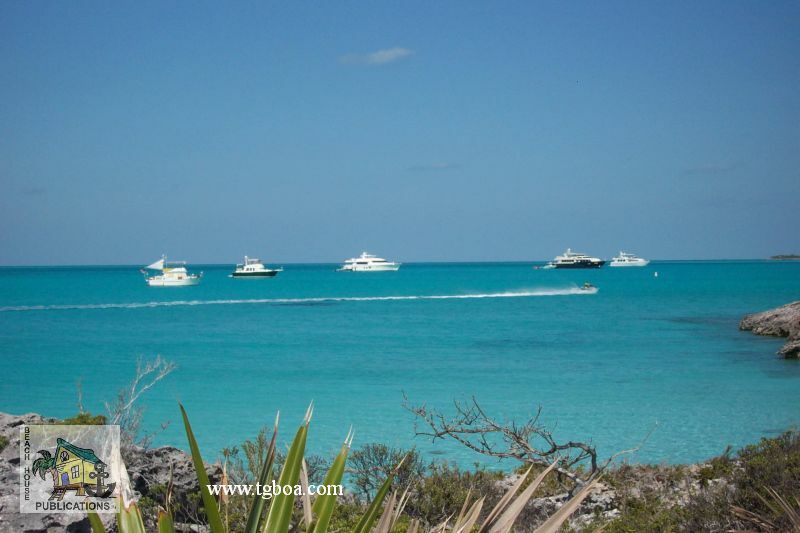 For unending socializing and access to services and provisions, Marsh Harbour in the Abacos is unrivaled. The harbour is large enough for many, many boats and is surrounded by restaurants and shops offering a landing spot for the dinghy. 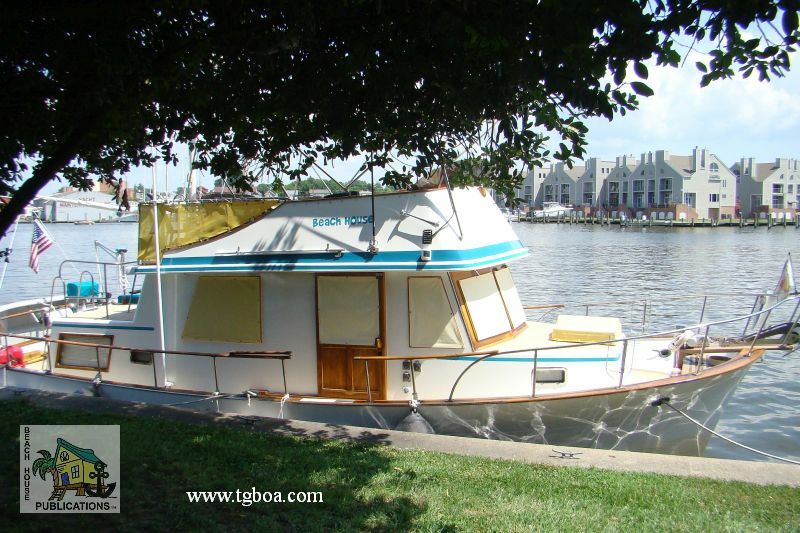 You can have any type of boat work done, stock the boat from the U.S. style grocery store a short walk from the harbor, restock the liquor cabinet from shops just next to the harbor, meet up with your friends at any number of bars (The Jib Room has weekly specials featuring steak and rib night and happy hours. We also enjoyed Curly Tails or Snappas) and restaurants lining the harbour, or sit and relax at anchor and watch the world go by. 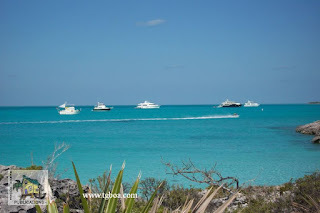 Marsh Harbour is the hub of the Abacos and you will not be bored here. And it’s a quick hop to many of our other favorite spots, such as Treasure Cay, Man-O-War or Hope Town, just an hour or so away. 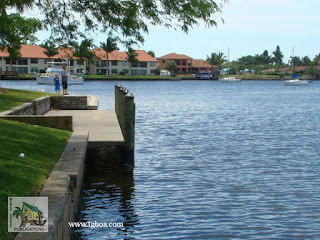 On the Gulf Coast of Florida, off the Caloosahatchee River, in Cape Coral is Bimini Basin. Just blocks from downtown Cape Coral, this anchorage wins points in all areas. The approach is well-marked, although you will have to cross a 5.5 foot spot to enter. Once in the basin, there is excellent holding, 360° protection, easy shore access, short walk to provisions, free Wi-Fi from Four Freedoms Park and attractive surroundings. The basin is bordered on one side by a lovely park with dinghy docks and surrounded by well-kept residential homes and condominiums. One of the most appealing things is Ice Sssscreamin - the newest Cape Coral ice cream shop located onsite at the park - known for their gator tracks and heavenly hash flavors. One should never have to walk too far to ice cream. 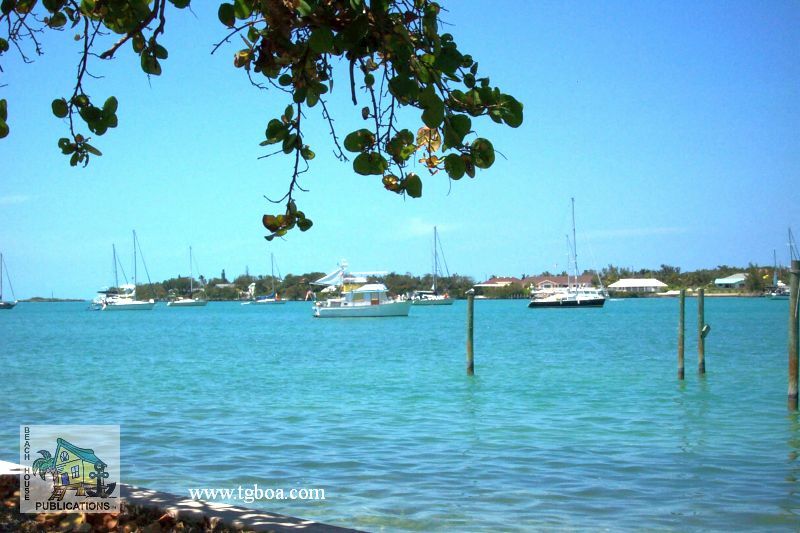 Another gem of an anchorage that we found on Florida’s Gulf Coast is Buttonwood Harbor at Longboat Key. Located at the west end of Sarasota Bay, this anchorage is much better protected than it would appear on the chart. Low-lying scrub keys and mud flats provide protection from the north and east, and beautiful homes and tall palms from the south and west. Anchor in the area marked “see Buttonwood Harbor note” and dinghy to either the kayak launch to the south or the town dock to the north (¼ south and ½ mile north respectively). From those locations, you can walk across to the beautiful Gulf beach, catch the bus to the grocery store or back into Sarasota’s tourist attractions, or walk to the hardware store and a good restaurant. (Pattigeorge’s gets high marks) You may be the only boat at anchor here! 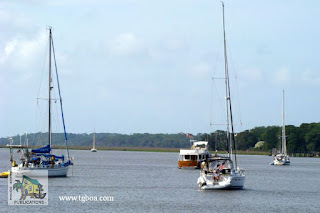 It was hard to pass on many of the other anchorages in the Florida Big Bend and Panhandle when trying to pick one last anchorage, but we have to choose Roberts Bayou in Alabama. 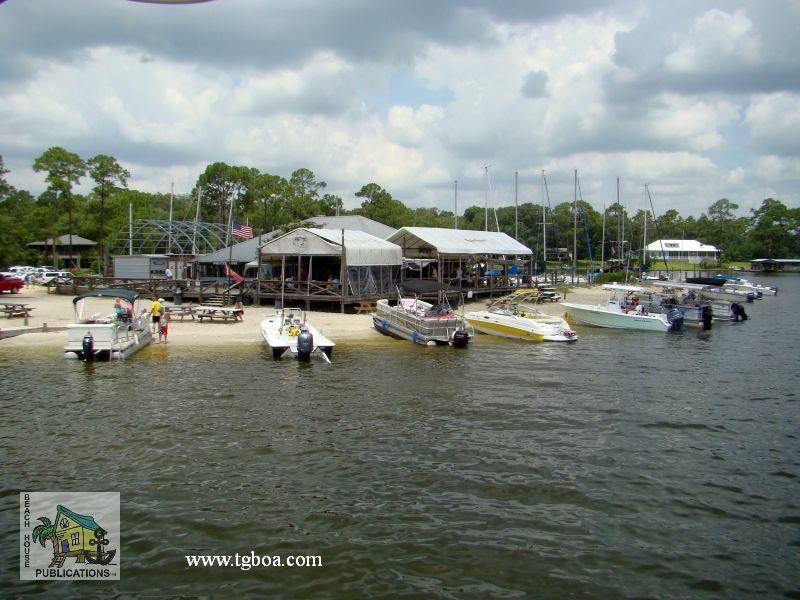 Although the entrance channel is narrow, it is easily navigated, passing within feet of the beach just outside the restaurant (Pirates Cove Marina & Restaurant), and the deeper water is clearly visible. Travel at idle speed through the entrance as there may be a number of boats, people and dogs parked at and playing near the channel. Once inside, you have one of the best protected anchorages you will find anywhere. The tall treeline and well-maintained homes provide all of the protection and view you would need. Dinghy ashore to the park near the anchorage to land Fido, or head back to the restaurant and bar at Pirates Cove for burgers and beers and a little nightlife. Having endlessly researched anchorages in all four regions for our series, The Great Book of Anchorages, I think we can safely say there are an almost infinite number of anchorages for you to discover and make your own. All of these anchorages and more are covered in detail in our four anchorages guides. Be sure to visit our Facebook page for news, photos and fun facts. If you like it, Like it. Chuck and Susan, Where where is Beach House? I have not seen any updates lately. Two winters ago we used (and highly recommend) your Anchorages of the ICW on our way down and back. Also did the Abacos. Currently in Maine and now getting "loopie--planing to start this summer that sojourn. Your website is a huge help for us trawler folks. Thanks guys. We know we have seriously neglected the blog, but life happens. Things will pick up again soon. The books are doing great and we appreciate your comments. 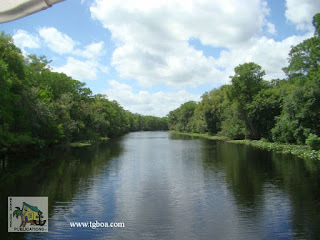 Beach House is on the Withlacoochee River in the Florida Big Bend. Thanks for the kind words. Forwarding this to Mike and Marian aboard "Midas." They are slowly doing their second Loop and currently in the Chesapeake Bay. 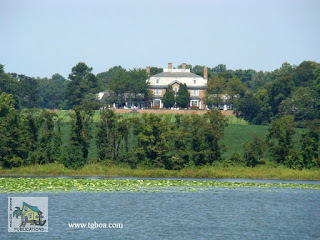 I presented them with your GBOA Chesapeake Bay. Chuck and Susan hope you are both well. Is there an easy way to know the hoses on my Lehman 120's 6D380? I want to pick up spares but there is no way to get any part numbers or info from the hoses themselves. Will, If you contact American Diesel, they can sell you a complete "set" of replacement hoses. Good luck. Chuck, you were exactly right. Worked out great, thanks. I'm making the move down south and plan to move my Wellcraft 46 CPY (15' beam 40" draft) from her home of 10 years in the Narragansett Bay to her new slip in Myrtle Beach NC. I'm a fully proficient sailor and know my vessel well. Unfortunately, it's not going to be a holiday casual cruise and I'm going to try to make good (safe) time. I'm planning the trip now and would most likely shove off end of August 17. I'm planning on 14 travel days (21 total to account for weather and general issues). If you had to give me odds on making the trip in that time frame, what would they be? Thank you for this amazing resource, your insight on the icw has been extremely helpful in my initial planning phase.